Saturated with detail and a feast for the mind are probably the best ways to describe his artwork, in which elements of of mysticism, scientific imagery, nature and narratives meet in creative harmony. Tladi’s debut solo exhibition took place in 2015 at the prestigious Lauber Gallery in Brooklyn, Pretoria, marking a successful start to his career. Since then, his works have been showcased at the renowned Luvey ‘n Rose Gallery in Cape Town and at +27 Café and Gallery in Pretoria. Yet, surprisingly, he ended up in the art world accidentally. “I was actually applying for medical school and business school but, sadly, got rejected by both of the universities I had applied at due to the dismal mathematics mark I got on my final high school exams. “At the time, I was beaten down and didn’t understand how I was still rejected even though I just missed it by 3%. I was bleak when I received the results that day but, luckily, a friend suggested I study something creative, which I would be able to monetise postgraduation, and I spontaneously applied for graphic design. People tend to say that things happen for a reason. You may not see the reason at the time but you will see it later. These days, I definitely see the reason why I failed maths. For some people, life truly begins after a major failure,” explains Tladi. From a young age, Tladi has always been considered as someone who finds joy in exploring the deepest parts of his imagination. Having read voraciously and watched a lot of cartoons as a child, he credits many of the visuals in his mind to these elements, “because it taught me that our reality is only a constructed reality and a far more powerful reality exists in our minds”, he explains. “Tapping into a different reality can bring about fresh perspectives and it enhances your creativity. Combine those together and you often develop recipes for solving problems in a new light. Also, I honestly feel that it is essential for everyone to set some time aside for escaping. The pressures of life can get overwhelming at times, so it helps to clear the mind with different thoughts and see things differently,” Tladi adds. Describing his creative process, Tladi says that he always starts off by putting his ideas down on paper, which entails making points of the themes that he wants to explore. This is usually followed by conducting research on the theme and subject matter. “Next, in pencil, I roughly sketch out what needs to go where. Lastly, I go into execution mode, which entails me drawing in the first layer of pen, then a second layer of pen. Then, afterwards, I add details, which is followed by micro-details. Once that’s done, I paint with ink where needs be, then I clean the artwork and go over it with another layer of ink before it goes off for scanning and framing. This is my process for planned artworks though. If it’s freestyle, I just attack the canvas or paper and react to my emotions,” he says. Tladi explains that, depending on the size of the work, it takes anywhere between three days to five weeks to create a single work from start to completion. Although, he adds that not too much focus is placed on how long it will take to complete the work but rather on the quality of the end result. Because his work is a continuous extension of his imagination and thoughts—two things that never quite reach an ending point—he says that determining when a piece is complete is all about balance. “Balance in the work is always a key indicator and that’s usually felt intuitively. It should be aesthetically pleasing and, most importantly, get the message across if there is a message to it. But when you get a hunch, you just know that you’re done,” explains Tladi. Art is very diverse in that there are many ways of understanding it. While he hoped that he wouldn’t have to face the question of how he defines art, he says that, without a doubt, art is an act of expressing feelings, thoughts, ideas and observations. “It’s a form of communication, which appeals to our senses and feelings, our ideas and emotions and, most importantly, our imaginations. Honestly, it’s an intrinsic human trait to create and consume art. Without it, life would be so dull… I can’t imagine that,” he says. In order to maintain his creativity and remain inspired, he sets aside time to draw daily. “Some days, I get a higher output than others but I do my best to get some art done every day. I’ve been doing this diligently for about four years now so it feels like it’s very much a part of my life. Being able to pay your bills from an honest living while doing what you love is a blessing. That, along with the willingness to challenge myself and constantly improve, keeps me motivated,” says Tladi. On how his work represents him as a person, he says that more than anything, it showcases his level of patience and perseverance. “I never thought I’d say this, but I’ve been learning so many life lessons from drawing, such as paying attention to the little things and learning to see things through, no matter how challenging the project may be,” he explains. As with most artists, he says that his work evolves every time he practices to improve. “I’m a huge advocate of deliberate practice. The Japanese concept of Kaizen is applied to my daily life—constant improvement is crucial in what you do and in life in general. With projects, I tend to have a vision in mind. I’m also always open to modifying the plan as I go about creating the work. From time to time, I freestyle and it always turns out to be a fun and pleasant challenge when I go that route,” Tladi says. His work allows the viewer to create their own story behind the art and he encourages the audience to do so. “If I always share the stories and tidbits about my work, I feel like I am denying the viewer the chance to have their own interpretation. I realised I draw multiple images in each artwork and in some cases, intertwine multiple narratives. I usually don’t share the story behind most of my work, so it’s always fun hearing people’s comments and stories about the work. After all, if the art is engaging and sparks conversation, then I know it serves a good purpose. I also enjoy knowing that my work can entertain a person’s mind every time they engage with it,” he enthuses. As pen is a very unforgiving medium, it forces Tladi to be more creative, especially when mistakes occur. “Unlike a pencil, you can’t erase your mistakes and unlike paint, you can’t paint over them. I enjoy that though—building on my mistakes and learning how to improve my drawing style in a demanding way—as you’re really doing yourself a favour when you force yourself out of your comfort zone. Which is funny because pen and ink have somewhat become comfortable mediums for me… I need to start painting,” he muses. Recently he has been experimenting with other mediums and learning the ropes of scaling the work to a wider audience. At the beginning of October, he had a solo exhibition, “Equilibrium”, at The Art House Gallery in Johannesburg. In this exhibition, he delineated multiple narratives through the use of his preferred medium, pen and ink. However, the exhibition also served as a platform for the artist to showcase his recent and more experimental artworks. “Equilibrium was beautiful to witness but tough to set up and prepare for. Considering that I churned out about 20 new works in six months, I was pleased with myself to have achieved this. It proved to me that if you put your mind to something and work relentlessly at it, you can do much more than what you expected. People loved the new work I had on display and were highly intrigued by seeing it on other formats such as cushions, skateboard decks, kakejikus, maple wood and Perspex,” says Tladi. “For a while now, I’ve been thinking about how I can commercialise a few of my works annually to get a number of affordable products in the hands of those who can’t afford the original art pieces and their replicas. It’s also a way for me to relate with people from other markets like skaters. By breaking away from the conventional pen and ink on paper, I now see how I can make the most of my skills. As a result of all of this, people have been responding extremely well to my work and I am thankful for that because it reconfirms my feeling that I’m on the right path and direction,” he says. Tladi explains that what excites him the most about the contemporary South African art scene is that it has come a long way. Clear examples of this are the Zeitz MOCAA in Cape Town and the CIRCA Gallery in Johannesburg. “I love that it’s a bit more inclusive now. People like myself, solely due to skin colour, who otherwise wouldn’t have had the chance to compete in the global art scene, can now do so. I also love its potential for growth and the attention that it has been garnering from global collectors. As Africa’s most advanced country and economy, so many people from all walks of life tend to flock to South Africa. Add to that the fact that South Africa itself is so diverse and you end up with a fusion of creativity you likely won’t get anywhere else in the world. I love that it’s so diverse, inclusive and has something everyone can relate to,” he says. However, he does add that he believes there is room for improvement and room to expose art to many other people who wouldn’t otherwise have access to it. He also believes that making opportunities available to diligent and rising artists, irrespective of gender and race, will make a significant difference, along with educating people about art and its importance in society. “Furthermore, we should foster an environment and culture of collecting art and seeing it as an alternative investment option as well,” says Tladi. 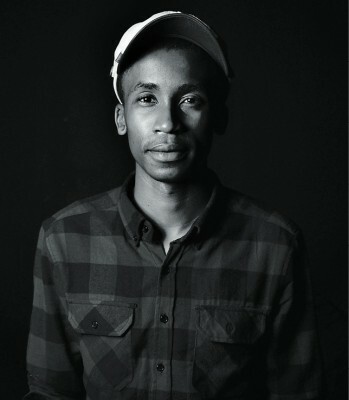 While he loves what he does, Tladi says that his experience as an artist so far has definitely been tough as it is a challenging and cut-throat industry to be in, especially because no one gives you validation. “You don’t get a license or certificate from art school, which gives you permission to be an artist, like a lawyer, doctor or engineer needs. I’ll admit, though, the rewards are often high and they remind me why the late nights and early mornings are worth it, especially at this stage in my career. One thing I’ve learnt is that any journey is slightly easier and more endearing when you love what you do and pour your whole being into it,” he explains. 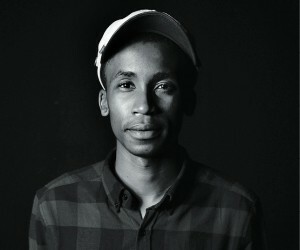 Tladi says that, within the art space, there are plenty of opportunities for creative minds if one applies themselves diligently to their craft, works hard and brings something unique to the table. He has developed his career by seeking out opportunities, building solid relationships with the people he engages and the utilisation of the Internet, which has proven to be an effective tool in the art industry. “I’m usually not one for trends but one art world trend I have jumped on is using alternative online platforms to sell my work. It’s a billion-dollar industry, so there’s an abundance of collectors and money to go around. I’ve also started collecting art seriously. For me, this is more of a long-term ‘trend’ and not a fleeting one,” he says. In terms of artists he admires and why he does, Tladi says that, off the top of his head, he’d have to say, James Jean, Augustine Kofie, KAWS, Anish Kapoor, Takashi Murakami, Diane Victor and Tatenda Chidora. “I admire and respect a strong work ethic, discipline, a unique style and innovation within your own work and the art industry. The artists above possess these characteristics and most of them have mastered how to make a business from their craft without compromising who they are and the quality of their work,” he says. For Tladi, the best part of being an artist is the freedom to do what you love, which he describes as a blessing and privilege. And while it’s not easy, it brings a lot of joy. “For me, creating striking visuals means I am able to explore my creative and imaginative sides and I am able to bring these ideas and thoughts to life to share with others. I’m no doctor or engineer but what I make can entertain and move the soul, and I think that’s just as important as being in any other industry.